Carry your stuff and save your money at the same time! 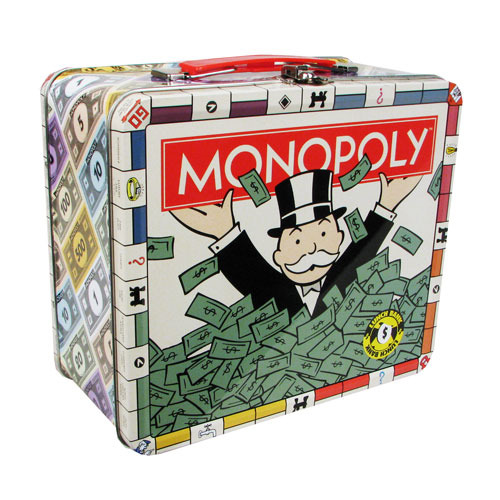 This 7 3/4-inch wide x 6 3/4-inch tall Monopoly Tin Large Fun Box Tin Tote also doubles as a bank. Perfect for Monopoly fans of all ages!